Shining the spotlight on Indian artisans, this website brings buyers and makers on one platform for a curated collection of art, décor, furniture, and fashion. And the best part is it’s all one-of-a-kind. Right, it’s time to get really crafty. And by that we mean arty, exquisite, and artisanal. The Engraved website is neatly divided into categories like Art & Prints, Crafts, Fashion, F & B, Home & Living, Plaques, Name Plates, and Canvas Prints. 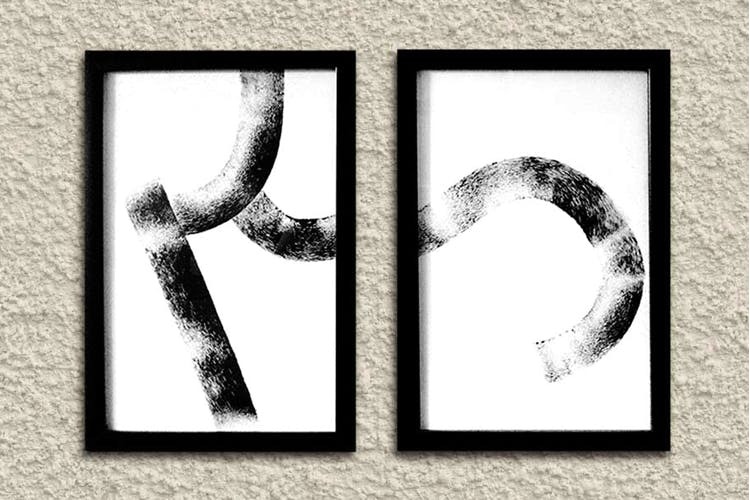 We are floored by the range of Calligraphy art, especially the ones that feature Devanagiri strokes. Hipster Dictionarys, Aztec Raccoons, Coldplay and Ed Sheeran doodles as well as sketched images of festivals in India available here are also sure to quirk up your walls. Bidri, cane work, Madhubani paintings from Bihar and even knitted and crochet stuff are on offer if you’re looking for niche products. Prepare yourself to be slightly broke as soon as you look at their fashion category; not due to high prices, but because you’ll want every thing here. From pouches and potlis with embroidery and Buddhism-inspired prints, to hand-painted canvas shoes, vegan wedges, and customisable slippers, plus slogan tees, jute hairbands, and funky stoles and scarves; we’re really tripping on all their accessories. Home accessories range from ashtrays, clocks, and cushion covers to vases, show pieces, and stunning serve ware. The bath range is lovely, too, consisting of handmade soaps, scrubs, gels, and lotions. Choco Milk foot cream, anyone? Oh, and their baby and child care products are made up of natural ingredients only. Those looking for some self-indulgence—their collection of over 500 name plates and personalised frames will massage your ego nicely. Pick from acrylic, brass, ceramic, glass, marble, steel, stone and wood, and then stamp your authority over any space you hang it on. Don’t miss the F&B section. With artisan chocolate from Bean Therapy and Indah, you’ll never get enough of Watapi Chocolate, Saffron Kahawa, and Black Pepper & Mango flavours. And, of course, they’ve got organic tea and coffee, too.